Lil Uzi Vert performing on the third day of the Wireless Festival, in Finsbury Park, north London. Philly rapper Lil Uzi Vert released a new song Thursday, titled “Free Uzi”, less than two months after declaring he was done with music. As of 6:40 p.m. Thursday evening, the song hadn't been released on streaming services, and a representative for Atlantic Records told Pitchfork the track was a leak, and was not official. Last month, Vert told DJ Akademiks he wanted Atlantic Records to “respect him”. 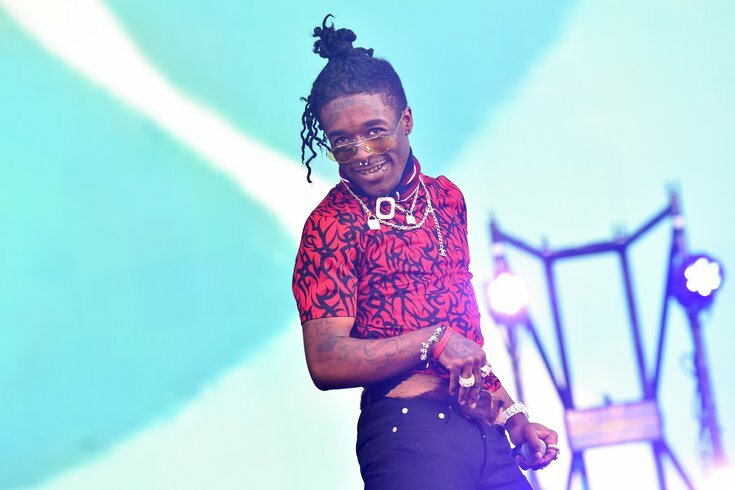 His long-rumored forthcoming album, “Eternal Atake”, was expected to be released in 2019 before Vert said he was quitting music. Vert's most recent official release was the single "New Patek", which was released last September. The future of his next album, and of Vert’s career, remains unclear.